Rare 18" dia. 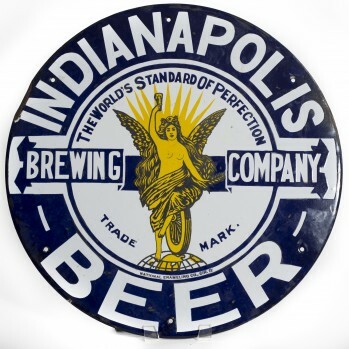 Single Sided Porcelain Sign For Indianapolis Beer by the Indianapolis Brewing Co. Sign features great image of Winged Victory with tagline "The World's Standard of Perfection". 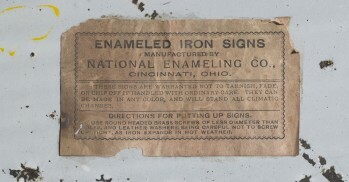 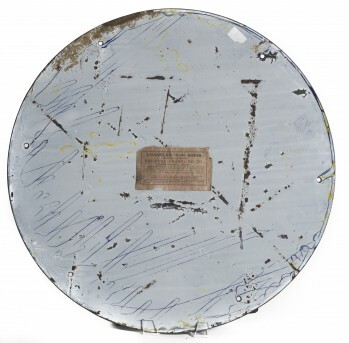 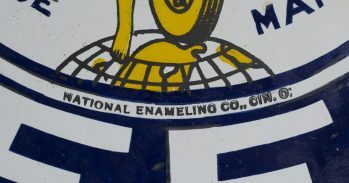 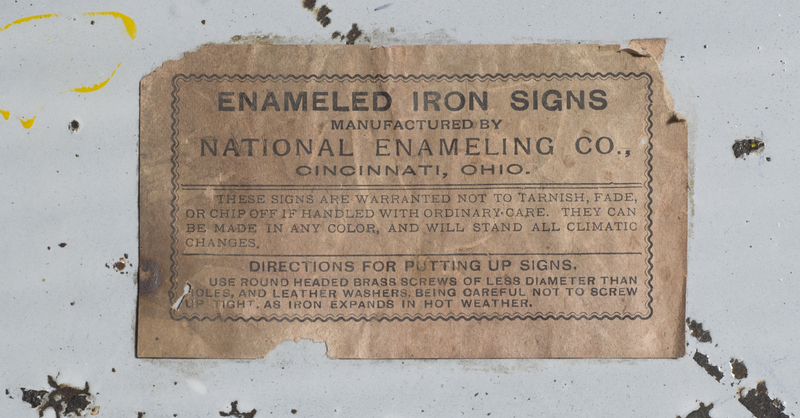 Sign still has original manufacturer's label on reverse from National Enameling Co., of Cincinnati, OH. 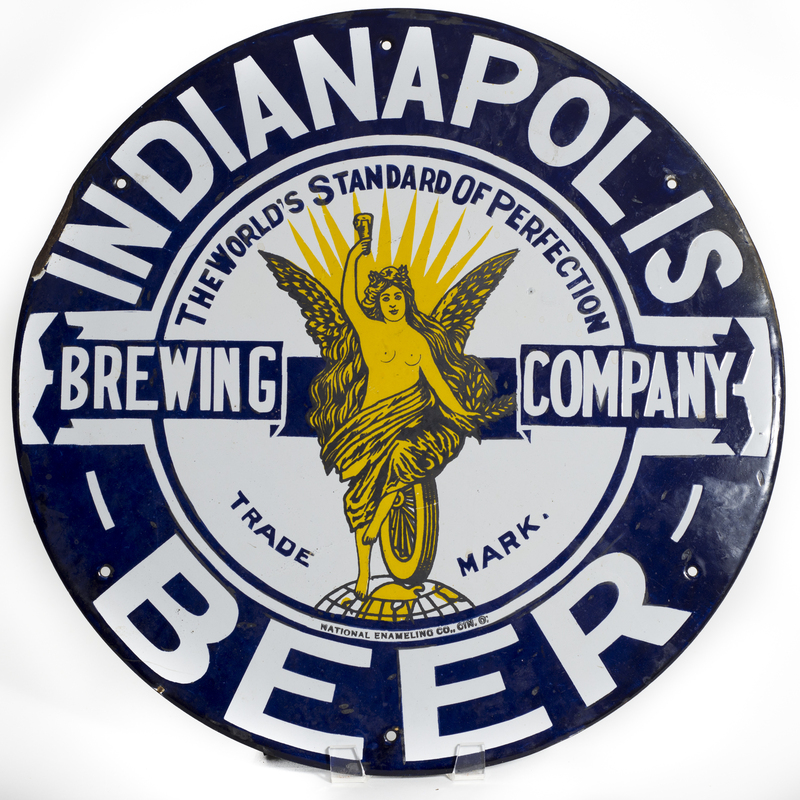 Brewery dates to around 1910.